too many people are counting Ohio St out of this game. They’re at home, with the Big 10 East division on the line… I believe Meyer and his coaches will have some tricks up their sleeve. 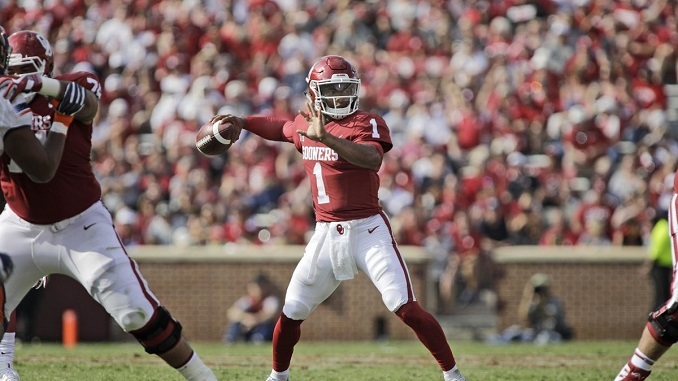 since 2015, Oklahoma is 33-3 vs the Big 12 – only losses were twice to Texas, and once to Iowa St… 2 teams that are not built the same way most Big 12 teams are. the public is heavy on West Virginia, probably because they’re undefeated at home… but this is the first good team they’ve played in Morgantown. This game gets hyped up every time OU goes to WVU, and the result is always the same. Washington is a physical football team that, year after year, has been able to dominate the Cougars, no matter if it’s at home or on the road. Until Leach proves otherwise, I’m rolling with the Huskies. Miami can stop the run vs bad teams, but in this past 5 game stretch they’re averaging giving up 4.1 yds per run and 172 rushing yds per game… Pitt is #6 in the country with 6.15 yds per run. I think Pitt will be looking to go into the ACC Championship game with some momentum, and Miami hasn’t shown anything to make me think they can actually beat a decent team, even at home. Even if they do, I’m getting more than a field goal here. Nebraska has covered 6 straight games vs FBS competition (won 4 of 5)… but this line is begging you to take Nebraska. Iowa has covered 5 of the last 6 vs Nebraska, and they circle this game every year. Kentucky’s bread and butter is running the football (#48 in the country at 188 ypg), and they will pound the football against bad teams. Louisville is #125 in the country in rushing defense, giving up 271+ yds per game rushing, and 5.89 yds per rush. Benny Snell will run wild on this team, and the Wildcats will put an exclamation point on their most successful season in decades. NC State is #6 in the country in passing offense, averaging over 330 yds per game, while UNC is #67 in the country against the pass. NC State’s scoring offense is #33 in the country, averaging 33+ ppg, while North Carolina is #108 in scoring defense, giving up 34+ ppg. NC State should score at will here, and UNC won’t be able to keep up.